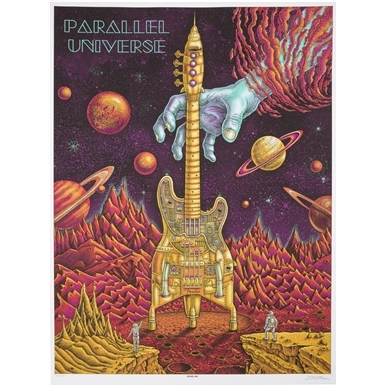 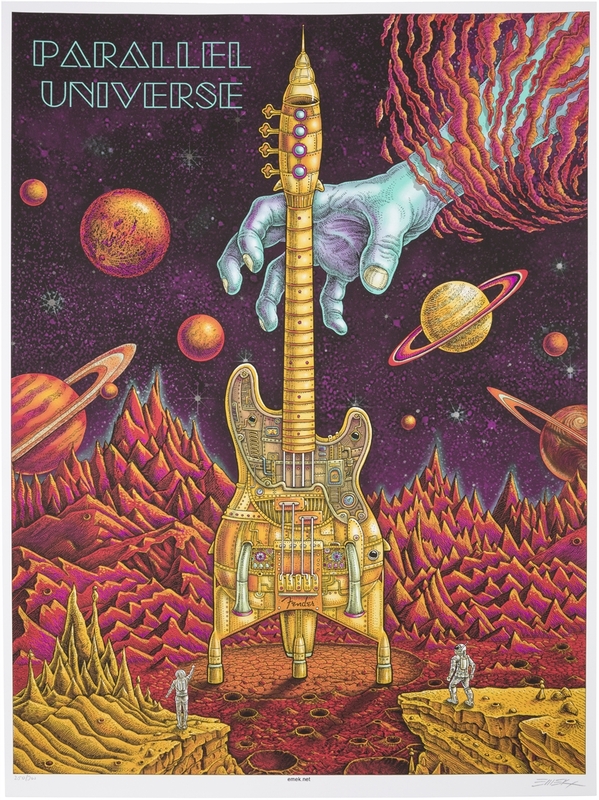 While creating this poster for the Parallel Universe ’51 Telecaster PJ Bass, artist Emek was inspired by 1950s sci-fi imagery like rocket ships and alien worlds. 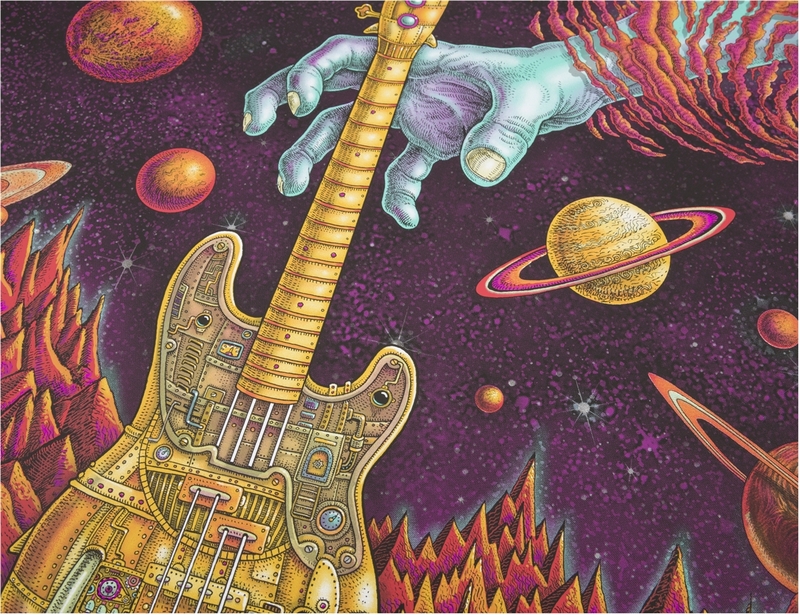 These musical explorers are about to have their retro Bass-ship commandeered by a giant cosmic composer. 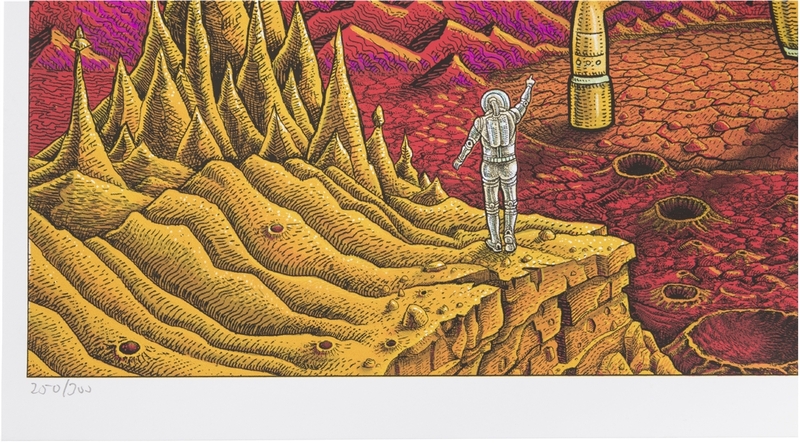 Could it be you? 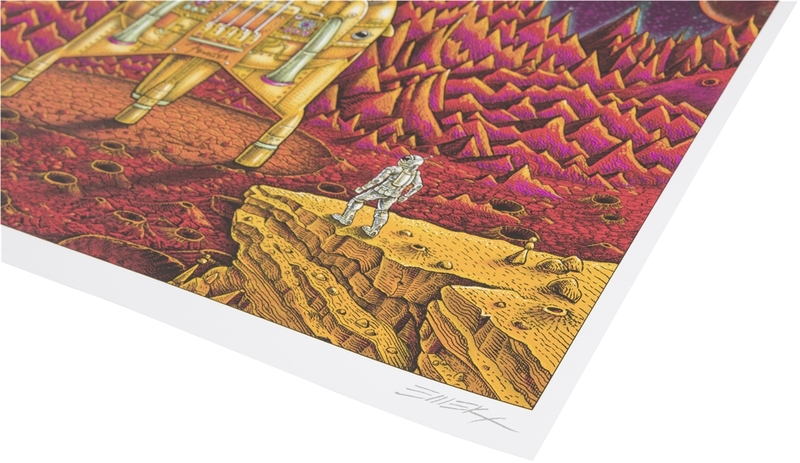 Limited to 300 units worldwide, this 18”x24” poster is screen-printed with seven colors.